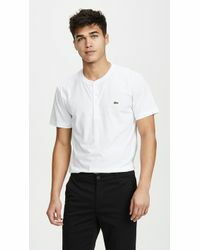 The Lacoste legend was born in 1933, when René Lacoste revolutionized men's fashion by replacing classically woven, long-sleeved tennis shirts with what has now become the classic Lacoste polo shirt. 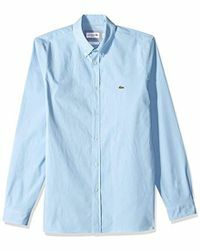 78 years after its creation, Lacoste is still an iconic lifestyle brand which combines innovative fashion with comfort and quality. 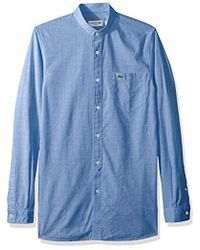 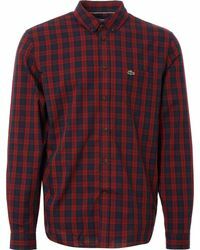 Our selection of men's Lacoste shirts champion's the brand's signature style, with short and long-sleeved designs with stiff collars and smart button details. 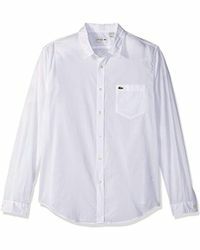 Choose from gingham and plaid styles, as well as chambray, plain and floral-print numbers. 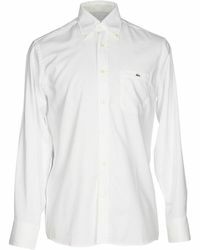 Wear yours with jeans for a casual weekend look or chinos and brogues for special occasions.